Your Vallejo, CA Honda dealer! Honda is set to lead the 125th annual Tournament of the Roses Parade with its “Keeping Dreams on Track” float, which combines historic and futuristic trains all powered by a Honda hybrid engine. The float will not only be a marvel of design and technology, but it will also be the longest float to ever grace the Rose Parade. The “Keeping Dreams on Track” float measures an unprecedented 247 feet in length, and breaks the previous record of 207 feet set by Honda during the 2005 Rose Parade. “Keeping Dreams on Track is an embodiment of Honda’s deeply rooted philosophy, The Power of Dreams, as well as Honda’s passion toward following those dreams to guide and inspire us to make a difference,” said Stephan Morikawa, assistant vice president of American Honda Corporate Community Relations, in a press release. Be sure to watch for Honda’s 2014 Rose Parade float on January 1! To learn more about the Honda technology powering the record-setting float, visit us today at Avery Greene Honda! The 2014 Honda CR-Z is available now from Avery Greene Honda of Vallejo, CA! A truly unique vehicle in today’s automobile market, the CR-Z is a hybrid vehicle that is equal parts hatchback and sport coupe, combining the best qualities of both into a fun and stylish car. Available in two trim levels for 2014 (Base and EX), the CR-Z boasts a 130-hp hybrid engine, Bluetooth HandsFreeLink, a 16-watt audio system and a long list of safety features like Hill Start Assist, Vehicle Stability Assist, SmartVent side airbags and a rearview camera display that will ensure a safe and comfortable drive. For more information on the 2014 Honda CR-Z, including specs and available features, visit Honda online! Avery Greene Honda is excited to offer the all-new 2014 Honda CR-Z as part of our wide inventory of new Honda vehicles, which also includes the brand-new 2014 Honda Accord Sedan and Coupe and the 2014 Honda Pilot SUV! You can also head over to our website to view our great selection of used cars in many makes and models. Stop by our dealership or give us a call at (800) 707-4733 to schedule a test drive! You can also follow Avery Greene Honda on Google+ for more Honda news and dealership event information! Honda fans will be happy to learn that an all-new Honda Ridgeline is set to debut within the next two years, featuring a new styling direction set for the next generation. Though the Ridgeline is currently on fire on the market with sales up 29% in 2013, Honda says that it will be ending its production in mid-2014 to make way for the new model. The Ridgeline has a history of great quality and several awards under its belt—such as the North American Truck of the Year and Motor Trend Truck of the Year awards—so we’re expecting the next-generation model to amaze us like all its predecessors. You’ll be able to find the new Ridgeline when it comes out at Avery Greene Honda. 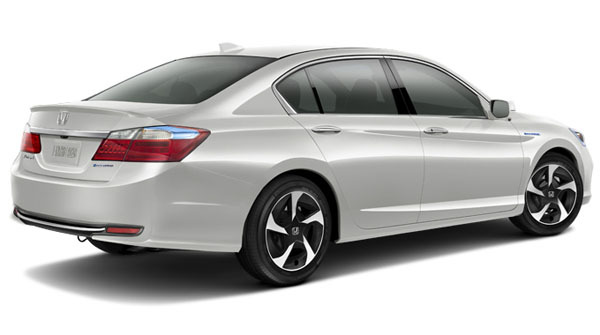 The Honda Accord was named a winner of the Car and Driver 10Best Cars awards for the 2014 model year! The Accord, which continues to be a top-selling midsize sedan in both the Honda family and the automobile industry in general, has showed up on 28 Car and Driver 10Best Cars awards lists since the awards debuted 31 years ago. Ever-changing and updating each year with new technologies and features, the 2014 Accord boasts excellent comfort, top performance and a great fuel economy that is heightened even further by its hybrid and plug-in models. To read the full 2014 10Best Cars awards list, visit Car and Driver online. Avery Greene Honda is proud to include the award-winning 2014 Honda Accord as part of its wide inventory of new Honda vehicles! For more information on new Honda cars like the 2014 Civic and Odyssey, plus a great selection of used cars in many makes and models, visit Avery Greene Honda online. You can also check us out on Twitter for more Honda news and dealership info!